In recent years, there has been a considerable increase in knowledge as to how micro-organisms function in nature and co-operate in a community or the “microbiome”. Certain micro-organisms are currently used (or have the potential to be used) in a variety of products and applications such as biofertilisers, plant protection products, biofuel production, bioremediation, cleaners, detergents as well as in the control of disease transmission. To date, there have been few uses of transgenic micro-organisms in such products and applications, though that might change in the future. In order that products involving transgenic micro-organisms are used in a responsible way, it is important that regulatory oversight involves a rigorous risk / safety assessment. 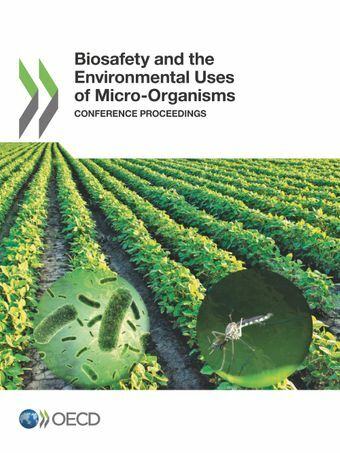 This publication includes the proceedings of the OECD conference on the “Environmental Uses of Micro Organisms: An Overview of the State-of-the-Art and Implications for Biotechnology Risk/Safety Assessment”. It was organised under the auspices of OECD’s Working Group on the Harmonisation of Regulatory Oversight in Biotechnology (WG-HROB), in collaboration with the OECD Co-operative Research Programme under the Trade and Agriculture Directorate. For further information, please contact Takahiko NIKAIDO, Bertrand DAGALLIER and Peter KEARNS at the OECD.